All my life, I’ve been blessed with two moms – both of whom love me in equal ways and measure, more than I could ever deserve or expect. Besides my mother, there’s also the lady who attended to every need since I’ve met her as a not-so tiny (I was a 7-pounder newborn!) 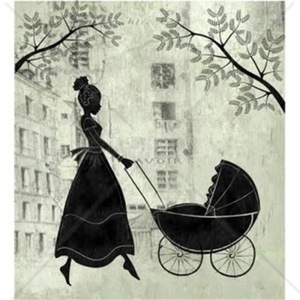 infant – my nanny. You see, my mom made a conscious choice to return to work about 2 months after birth, and babycare options were rather limited in the ’80s; she had aging parents/in-laws, live-in domestic help was a rather new age option and my aunts had their own grandchildren to look after. She did the next best thing and approached the then Ministry of Children Services — to look for a nanny in their directory! She was introduced to this kindly lady who has cared for over 20 children in her career and her family (husband, daughter and son) who lived close by, and they hit it off! They were a close-knit family who lived simply and were also Cantonese- and English-speaking, like my family! When the time came for me to be enrolled in pre-school, a live-in helper (we were also blessed with an angel, Sally! But that story’s for another time.) was engaged and the routine was disrupted. Naturally, I didn’t enjoy it immediately. But, with time, the hankering after Auntie gave way as school and other distractions eased the transition. I’m glad Auntie and her family grew to be a part of my family; to keep the bond going strong, I’d sleep over at her place for a few days at the end of every school term — it was a lovely holiday where I’d be fussed over and pampered. I could really see through this shared experience that it takes a village to raise a child! Now, I find myself thinking of Auntie much, and though we do have catch-ups at family events, I realise I’m so caught up with other things that I’ve hardly more than a few moments with her, before I am whisked off to attend to something or someone else. My conscience is pricked when I think of how my sense of wonderment as an infant; the joy of seeing her as a child is mirrored more from her responses to me these days – she really relishes our engagement opportunities, however scant or brief. I realize through piecing fragments of conversations, that what I cannot deny any further, is happening: that the people we love will age for sure. With the passage of time, I notice a few more grey hairs appear, the lines on faces start showing (as an effect of too many laughs and happy moments) and gradually, the physiology begins to fade. It is also apparent that windows of conversation are limited – so I did what I should’ve done long ago: I picked up the phone and we talked – and oh how we talked, laughed, mused, reflected and reminisced about life and she also shared nuggets of wisdom through stories. I promised to make time for lunch and I know I will be making good on my word soon. Next 10 secrets learned from successful marriages!